Price / Performance: : "very good"
"Represent with phenomenally sharp, closed picture, perfect impulses and transparent audible tone colors monitor tradition in the best sense." Not every manufacturer follows the call of the market - ATC this time. After the SCM 40A, there was a desire for a more affordable yet active floorstanding box. The highlight of the SCM19A: the cone-dome hybrid driver. The ATC SCM 19A impressed us with musical precision, superb audibility, and sleek, perfectly crisp pulses. Particularly impressed with the fantastic image and the ability to facet the music to the smallest detail without annoying. The advantages of active technology she casually and with an impressive self-evident. 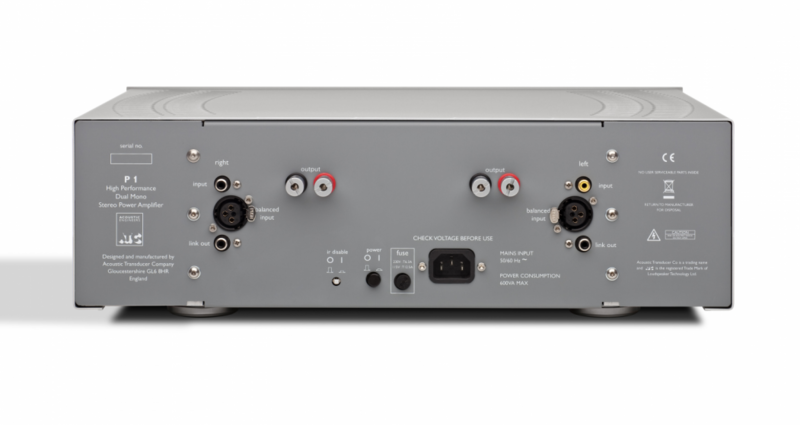 Thus, the manufacturer, who enjoys an excellent reputation in the professional field, represents a real alternative in the hi-fi sector. The SCM 19A once again combines the precision of a studio monitor with the superb transparency of a genuine gourmet box. Best of both worlds? Far and away its biggest asset (and this was also true of the SCM19) remains its fast, dynamic, and transparent midrange—one that anchors images, from vocals to violins, and establishes their palpable presence in the room. Image placement is fastidious; at times almost startling in the way musicians inhabit their own space with authority, clarity, and specificity. The ATCs excel in a surprising way. The presentation is quite forward, but really captures the atmosphere and mood. ‘Presence’ is an overused word, but it suits here. The lack of colouration, massive dynamic range, ability to reproduce transients, and accurate imaging are beguiling. They produce a real feeling of width and depth, and a lifelike presentation. In particular, lead vocalists seem to be in space front of the speakers. The obvious test of any piece of equipment is its ability to make you keep listening. As I start the first draft of this review, we have most of the family arriving for Easter on what was tomorrow but is now today. It is three in the morning and I am being moaned at, not unreasonably, for carrying on pulling things off the shelves to listen to. That, in a nutshell, is the ATCs. They make you want to keep finding things to play. A number of tracks are probably the best I have ever heard them sound. Richard Bowles, Hi-Fi Wigwam, April 2017. The dynamics and transients are really excellent... The top end is so detailed with not a hint of any harshness as the tweeter is one of the finest sounding I have come across, with Robert Len’s trumpet sounding sweeter than ever. I was tremendously impressed by the high end response of the scm19as for its transparency, smoothness, and definition. I never heard a harsh sound out of it. 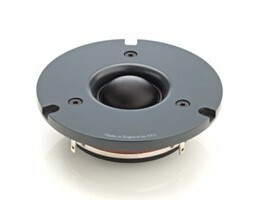 It compared very favorably with the ceramic tweeter in my own Marten Django XLs, which is really quite outstanding. Images were rock solid and it was easy to pinpoint the position of the other band members behind her. The soundstage had such a natural spatial presentation that nothing stood out as being too small, too large, fuzzy or floating. Everything just seemed to be in its correct place. The ATC's are capable of sounding very dramatic when the music and performance call for it, a result of their fine dynamic contrasts, tonal character, and nuance. Instruments and especially voices were realized with a vividness and transparency that were top notch. Additionally, for a small speaker, they could really fill the room and play very loud. This extended and tuneful bass really drove the music forward and made best use of every cycle of bass there was. The midrange was smooth and involving with no hint of problems around the crossover point. I've already told you how great these speakers sound on vocal recordings, but the same was true on instrumentals and large scale orchestras. 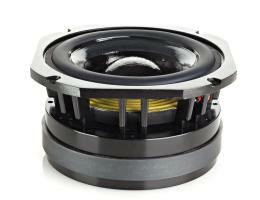 Detail and transparency were also terrific for a speaker in this price range. 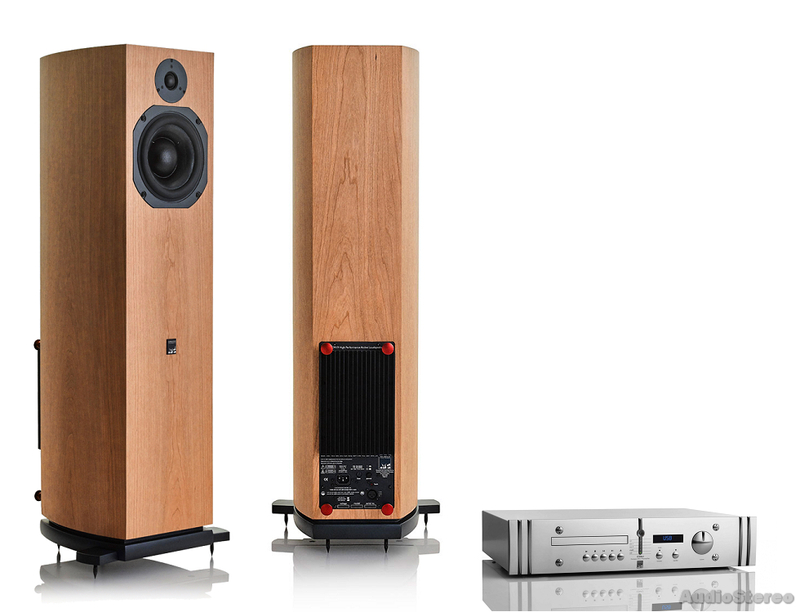 The scm19as are a wonderful advancement in the state of the art of active loudspeakers. You could easily spend three times as much on comparable separate components and not do as well. I strongly encourage you to seek out the ATCs and give them a listen. Performance was simply stunning. Newton and his guitar did something for me I didn't think I'd feel with these ATCs. Their ultra-transparent midrange imparts a subtle fluidity to the vocal and even the softest guitar notes sound slightly liquid on the leading edges whilst retaining speed and authenticity. If you’re looking for a no brainer approach to high fidelity sound at a reasonable cost with great looks and build quality, and one that lowers the box count I'd strongly recommend a demo of the SCM19As. SOUND QUALITY: Even if you’re familiar with the dynamic largess and gloriously un-hyped presentation of the standmount passive SCM19, this active tower moves the game on in unmistakable ways. In raw terms it goes louder with less distortion while exhibiting tighter control, wider and more finely graded dynamic contrasts, a deeper, harder-hitting bass and greater rhythmic impetus and drive. Yep, rather than peering through the window, we’re standing in the open doorway of the studio, here. 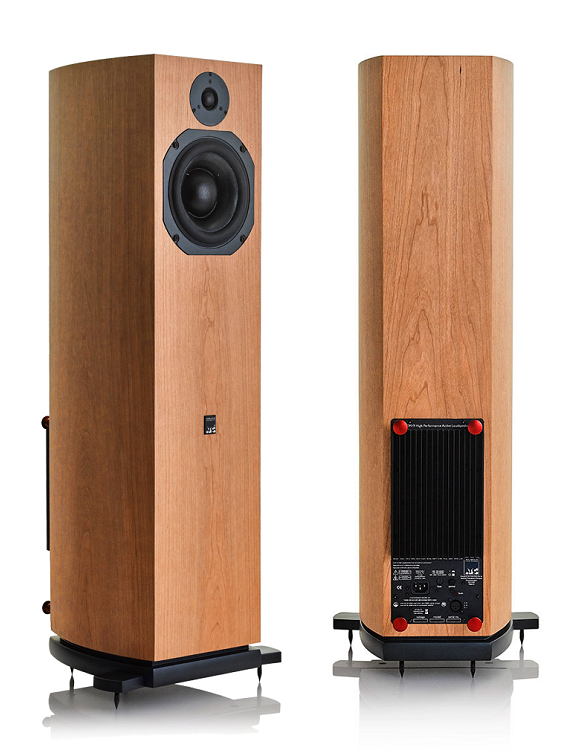 Sonically, this ATC floorstander can face down most £5-6k passive designs that require at least £2-3k of amplification to fulfil their potential. That said, some of the contenders peddle their own wellengineered tech and look more impressive than the functional ATC. CONCLUSION: Clearly shot through with the solid engineering and acoustic expertise loved by fans of ATC around the world, the SCM19A is an important and effective addition to the company’s extensive domestic lineup. Used in anger with high octane rock it will make most similarly sized passive floorstanders sound somewhat flat and loose. But it does the delicate stuff with great care and finesse as well. A better advert for properly implemented active design at a relatively sane price I’ve yet to hear. ATC’s Entry Series was initially created to provide the hi-fi enthusiast a range of high performance passive loudspeakers incorporating all of the features found in ATC’s professional products. To extend the range and offer a serious step-up in performance we have developed two active models for introduction to the Entry Series. The first, the SCM40AT (an active 3-way tower) has already been launched to market, quickly becoming one of our most popular models. To complete the Series the SCM 19A – an active 2-way tower – is to be launched on 21st March. 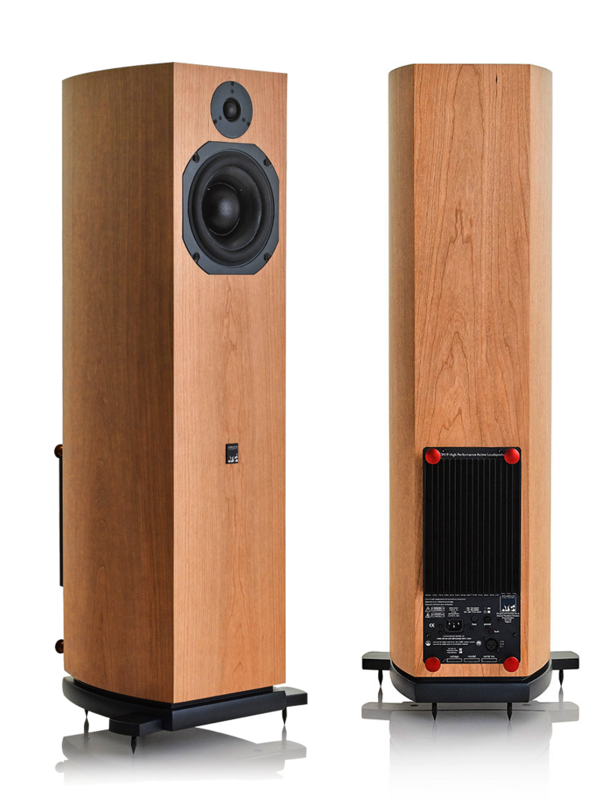 As with ATC’s other active loudspeakers this new loudspeaker shares excellent magnitude response, phase correction, improved distortion performance and greater dynamic range. In other words, much higher resolution and performance.